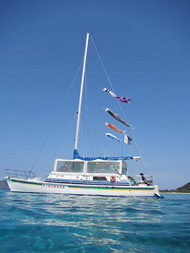 Born 1950 in Zamami. 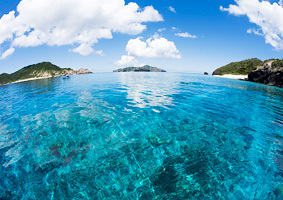 Was the first Japanese person to sail to China. 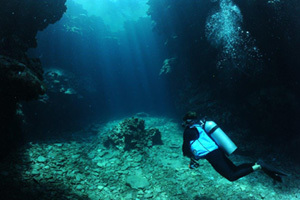 Has more than 40 years diving experience. 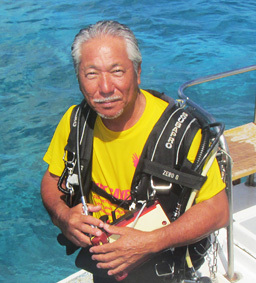 Chairman of the Zamami Diving Association. 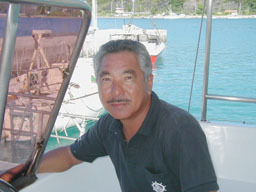 Councilman of the Okinawa Marine Leisure Safety Bureau. Born in Tokyo. Worked as a child care worker. First person from main island to move to Zamami. 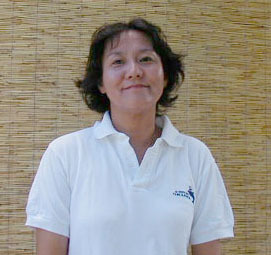 Zamami sailing secretary. Will pick up costumers from ferry and arrange hotel if needed. Born in Zamami and lived here most of his life. 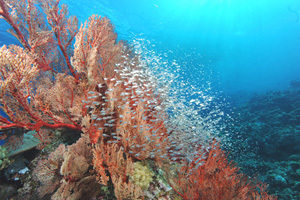 Any questions you have about Zamamis' surrounding waters, he will answer. He loves to surf. He is next in line for the family business.